Guys today I am here with James Clingerman, James is a 3rd degree black belt and a very high level guy. 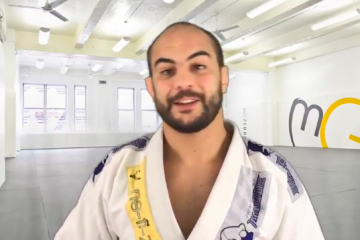 James has been making instructional videos for a long time and we have been selling them on bjj fanatics. His videos always do really well and people really like his teaching style. 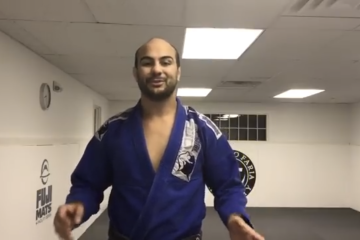 Today I asked James to show me one technique he does really well and has a whole DVD on and it is the von flue choke. 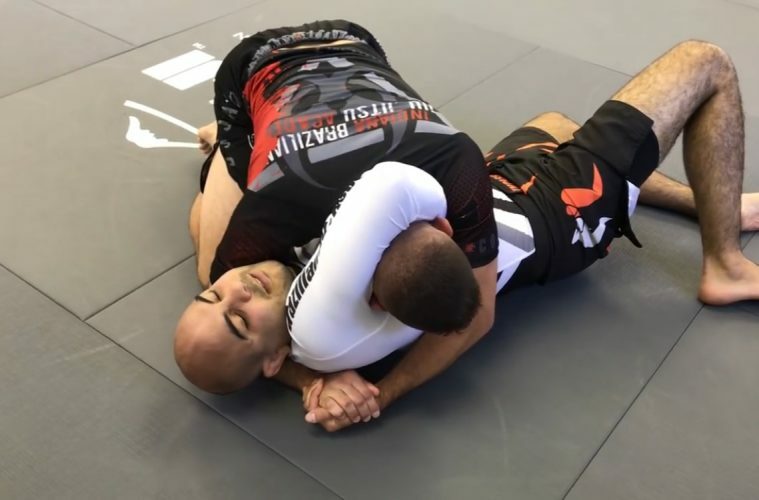 This is a choke that you can use from the guillotine defense. He is going to show us it below and then we will do some breakdown. So guys this is a very interesting choke and the first time I ever saw this was actually on James’ DVD about the Von Flue. 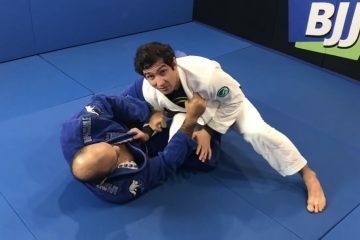 The choke is very cool because your opponent will not even expect that ever. Basically James is doing the guillotine defense and he is placing his shoulder and grips strategically. When he defends my guillotine he makes sure to pass my guard to the side opposite of where his head is. Once he is able to pass he is going to hug my head really tight. One thing he does that is hard to notice is when he grips the gable grip together he is actually trapping my arm in the guillotine position. When he traps my arm he will melt his hip to the mate much like the arm triangle and once he is low he places his should in my artery. This is where you start to feel the pressure, he holds it long and slow and eventually you will pass out. Very cool move guys I hope you like it!